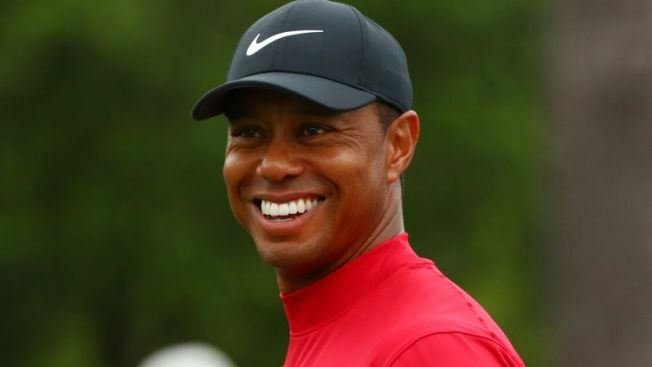 Tiger Woods' remarkable comeback was completed Sunday at Augusta when he won the 2019 Masters for his fifth career green jacket. Woods finished at 13-under-par for the tournament after an impressive final round. The legendary golfer, who's battled many injuries over the last decade, now has 15 major championship wins, pulling him within three of Jack Nicklaus' record of 18. Twitter was buzzing after Woods' Masters-clinching putt on hole No. 18, with many athletes chiming in, including New England Patriots quarterback Tom Brady. Brady won Super Bowl XLIX with the Patriots after a 10-year championship drought. Woods' latest Masters win comes 14 years after he last claimed victory at the tournament in 2005. It's the longest gap from one Masters triumph to the next in the event's history.